Everyone probably remembers the final seen from Up where Carl and Mr. Fredricson are sitting outside of an ice cream shop and eating ice cream. It seems to be the perfect happy ending to the movie. The ice cream shop that is seen it actually a cameo of one of Pixar’s favorite ice cream shops, Oakland’s own Fentons Ice Cream. 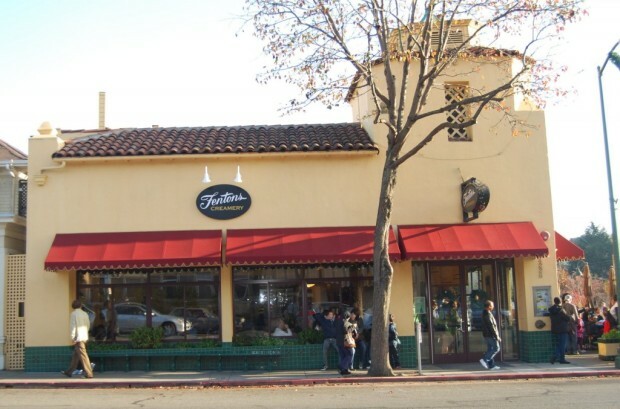 Pictured below is Fentons Creamery, located on 4226 Piedmont Avenue, Oakland. 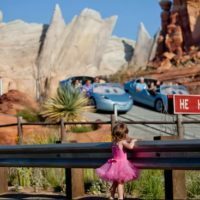 Everyone knows Pixar holds up a certain quality with their movies, that same quality, care, and devotion is present here in the service and taste of the ice cream. 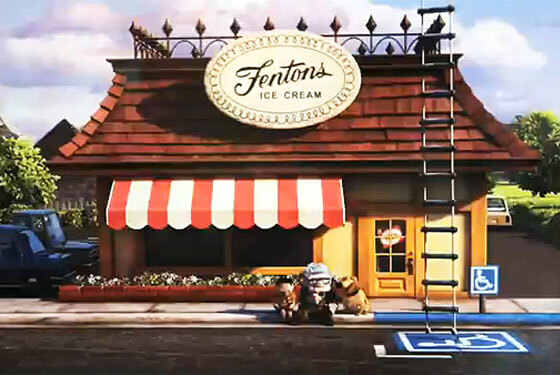 How did Fentons make it into the movie? 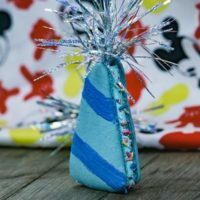 Well because it’s a common place to celebrate Pixar birthdays; both Up director Pete Docter and producer Jonas Rivera have celebrated there. Back when the movie first came out Fentons felt the direct effect of being featured in the movie. When the movie first came out, it created an excitement locally and we got an increase in business,” said owner Scott Whidden. “People would come in wanting to know if it was really us in the movie. We noticed the Up effect again when the DVD came out. It feels like the awards attention is just another way that people might be prodded to come down. People have been calling and e-mailing to say congratulations. It’s almost like we are winning a little something as well. 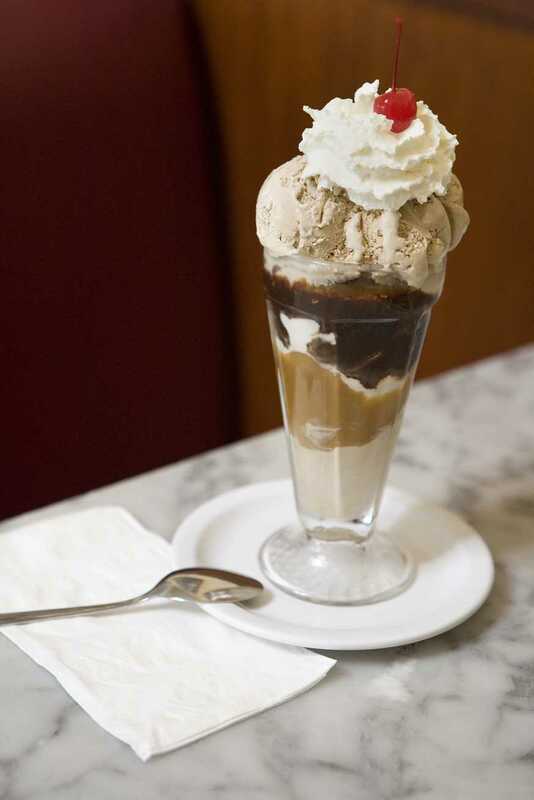 Fentons Famous Sundaes: Doesn’t it make you drool with delight? Known for their gigantic sundaes, homemade ice cream and great sandwiches Fentons is a perfect stop for hungry Disney fan in the Bay Area. 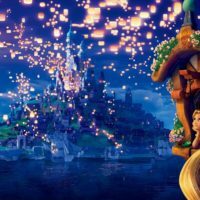 Be sure to sign up for our newsletter if you want more Disney fun in your inbox. 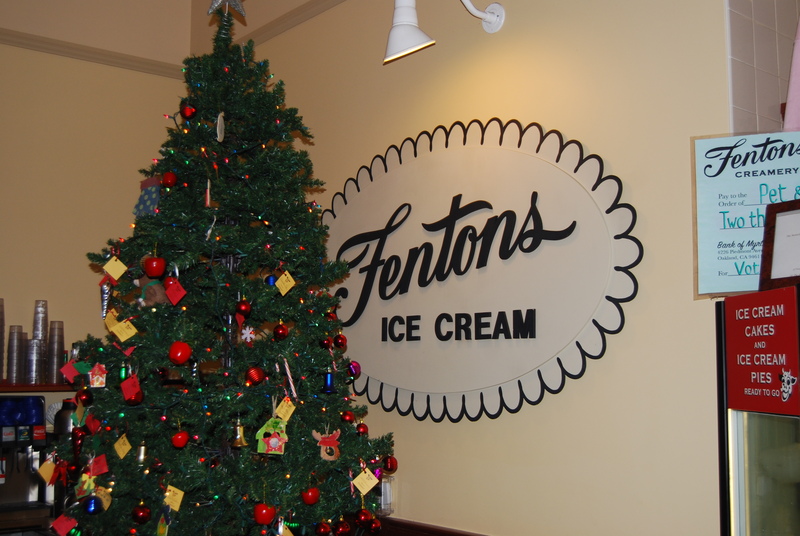 Have you ever been to Fentons Ice Cream?